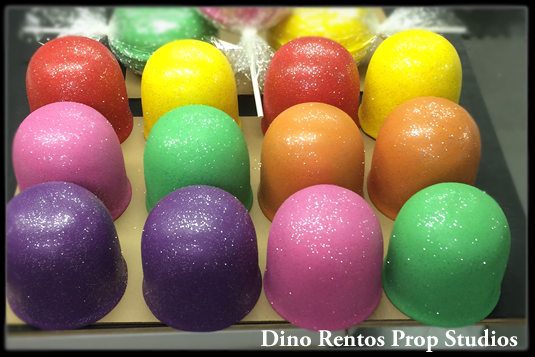 Giant Foam Gumdrop Props - 8 Inch - Dino Rentos Studios, INC.
Each gumdrop prop is 8" tall by 6" diameter and "coated" with sugar-like sprinkles. Great for candy themes! 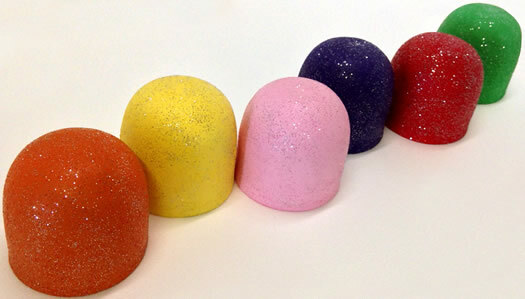 Price is for six (6) gumdrops. Your kit will come with random gumdrop colors. 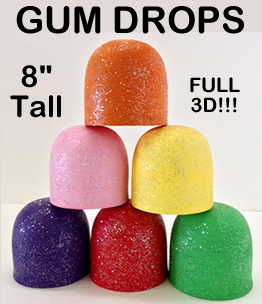 Plastic coat the gumdrops to use outdoors.